Crown gall tissue culture lines fo Lithospermum erythizon were estadilshed dy transformation of steile seedlings weth Agrobacterium tumefaciens C58.Nopaline was inspected in the crown gall snd showed that the transformation was successfull.L6 line, can secret red naphthoquinone pigments that are shikonin derivatives on phytohormone-free 6,7-V medium was selected from other lines on different basic phyou-hormone-free media (MS,6,7-V,WP,B5).The content of shikonin in the ceown gall was 1,18% (dry tissue).The study showed that crown gall tissue culture of L.erythrorhizon was a new method to pro-duce shikonin. Species affinis H.attenuato Choisy,a qua foliis caulinis majoribus,oblongo-lanceolatis,papillis minoribus dense obtectis;caulibus nec porcatis nec nigro-glandulosis;stylis ovario semper 4-plo longioribus;capsulis seminibusque minoribus differt. Haec species spadicis masculi appendice plus minusve hippocaudatiformi A.balansae A.Engl.similis,ab eo differt foliis duobus minoribus atque flore masculo diandro. During the visit of the senior author in 1995 to the herbarium of the ational Museum of Natural History in Paris (P),a new saprophytic species of Cephalanthera was found related to Cephalanthera calcarata S.C.Chen ＆ K.Y.Lang published in 1986. Foundation Item：This project is funded in part by the Kadoorie Farm and Botanic Garden,Hong Kong Sqecial Administrative Region,China . Paphiopedilum angustifolium R.F.Guo et Z.J.Liu,sp.nov.Fig.1:1-8.Species nova Paphiopedilo puberulo S.P.Lei et J.Y.Zhang affinis,a quo differt staminodio ovato-cordato glabro viridulo praeter centrum vitta una lata alba et ab ejus latere alterutro alia viridi-fusca praeditum. Eight phenolic constotuents including three specific 5-lipoxidase inhibitors 3-(4-acetoxyphenyl)1-,2,4,7,8-pentacetoxy-dibenaofuran (1), 3-(4-acetoxyphenyl)-7,8-dihydroxy-1,2,4,_triacetoxy-dibenzofuran (2),1,2-diaceroxy-3-(4-hydroxyphanyl)-4.7,8-trihydroxy-divenzofuran (3),and 2,3-diacetoxy-4′,4″,5,6-tetrahydroxy-p-terpheny (4),l,4-benzenediol (5),4-hydroxy-benzoic acid (6),P-anisic acid (7),4-hydroxybevenzaldehyde (8),together with thioacetic anhydride (9) and l-0-β-D-glucopyranosyl-(2s,3R,4E,8E,2′R)-2-N-(2′-hydroxyphenyl)-9-methyl-4,8-sph-ingadienine (10) were isolated from the fruiting bodies of Basidiomycetes Boletopsis grisea (peck) Bond. & Singer (polyporaceae).Their structure were elucidated by spectroscopic evidence. Glycerol-3-phosphate acyltransrerase (GPAT)gene is closely relative to the chilling-resistance of piants. We isolated the cDNA encoding the GPAT from Vicia uillosa cotyiedons. The cDNA fragement includes the whole coding region,which contains 1377 base pairs and codes 458 amino acids. Comparing to Vicia faba and pissum satiuum,the cDNA sequece and the deduced amino acid sewuence of Vicia uil-losa GPAT gene habe 94.1% and 93.3%, 96.9%and 98.0% homology respectively. Tugarineuia mongolica has a tubular stylaar nectary located at the base of the style.The necta-ry, which lacks special vascular bundleis , is composed of secretory epidermis and nectariferous rissue.Stomata are present in the epidermis and there are well-developed space under them. The basal cells of the nectary are adjacent to the vacular bundle of the style During the development of nectary, both the struc-ture and content of cell change regularly. The pre-nectar is provided by the vascular bundle at the base of the style . Nectat is formed in nectariferoud tissue, and it is exareted from the stoma. The relationship be-tween the structure of the nectary and evolution is discussed. We studied the teproductive biology of Heotacodium miconioides,a national protected plant species in China.The reults showed that there were no pedicels in the flowers of Heptacodium miconioides and teminal panicle was clmposed of several constrictive capitate cyimes.lt usually flowered with the basal and middkw whorls,and some flowered with only the basal whorl.Self-Pollination was high in reproduction.There were over 60 pollens loading on the stigma 4 hours after flowering, and pollens amounted to 142 at modt 8 hours after flowering.At least 1/3 pollens germinated and a few of them could reach ovary in which only 1 ocule ciuld decelop.The average seed set of developed ovule was 40.6^and the seeding of middle whorl woulb influence that of basal who,its decrease rate was 34 8% and the seeding of whorl would influence that of middle whorl.All the results suggested that the seed set in Heptacodium micomioides was mainly caused by resource limitation. Pollen morphology of 34 species (including 2 varieties)representing 17 sections of Camellia was examined under light microscope (LM)and scanning electronic micrscope (SEM)in this paper.The pollen grains are classified according,to the standard of Wei Zhongxin, they belonging to 3 types: granulate to rugulate-granulate,rugulate-fossulate,foveolate- reticulate.A new pollen type,i.e.false fpveplate-re-ticulate ,was found and named. Generally speaking,the sculpture difference of various sections is not nec-essarliy larger than that of the same section,for example,in section paracamellia, the sculpture varies very much from rugulate-fossulate to false foveolate-reticulate,and then to foveolate-reticulate.Showing that it is difficult to elucidate the sustematical relationships detween different sections dy the sculpture of pollen exine surface.Some classification problms of Camellia were probed onto preliminarily too. 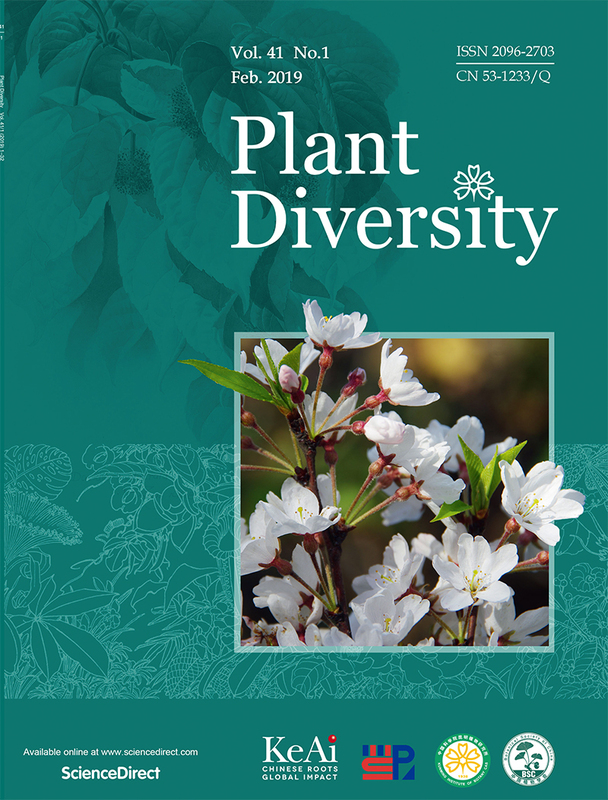 Based on 72 characters of plant growth habits, extenal morphology,wood anatomy,flower structure,pollen morphology, embryology and chromosome number,a cladistic analysis of Stachyoraceae and related taxa, such as Dilleniaceae,Ochnaceae,Theaceae, Actinidaceae and Staphylraceae ,was car-ried out using maximum parsimony method. The result showed that Staphyleaceae seems most closely relate ot Stachyuraceae.The other taxa being away from Stachyuraceae are Actinidiaceae,Theaceae, Ochnaceae and Dilleniaceae respectively.The result of chadistic analysis is consistent with those of palynongy,embry-ology and molecular biology to some extent. ln the course of studying the flora of N.-W.Guangxi and S.-E.Yunnan,some species of Arali-aceae have been taxonomically revised. 1 new species,Brassaiopsis lianus Y.F.Deng, and 1 new vari-ety, Heteropanax fragans var. ferrugineus Y.F.Deng.ate described. 2 new combinations are made;pentapanax wilsonii(Harms )Shaang var. Plumosus (Li)Y.F.Deng and p.tomentellus var.tomentosus (Hoo)Y.F.Deng.4 names are treated for the first time as synonyms,Kalopanax ricinifolium Miq.var. pilosus Yu is reduced to the synonymy of K.septemlobus (Thunb. )Koidz.car.magnificus (Zabel) Hand.-Mazz.,Euaraliopsis emeiensis Z.Y.Zhu is reduced to Brassaiopsis ferrugineus (Li) Hoo; pen-tapanax tomentellus var. distinctus Shang is reduced to p. tomentellus var.tomentosus (Hoo)Y.F.Deng ;Aralia caesia Hand.-Mazz .var. 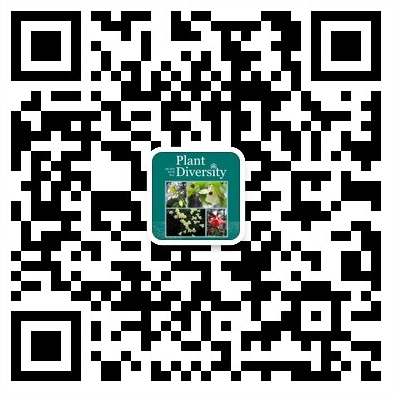 pubescens K.M.Feng & D.D.Tao is reduced to pentapanax wilsonii (Harms)Shang var. plumosus (Li)Y.F.Deng. New geogaphical distributions of 6 species are reported: Brassaiopsis gaussenii N.S.Bui is new to Yunnan, also new to China; Macropanax pausineruis Shang is new to Yunnan;Brassaiopsis acuminata Li and Pentapanax trifoliatus Fwng are neu to Xizang. pedicularis is one of the largest genera of the angiosperms and plays an important role in the flora of the province of Yunnan. Following Tsoong 's system there are 151 species in 72 series of 13 groups (as"grexes")now recognized within the genus in Yunnan.These represemt 64 3% of the series and 100% of the groups of China,respectively. The floristic characteristics of pedicularis in Yunnan may be summarized as follows:(1)The numder of species is rich,constituting 25%of the world's total and 42.6% of the Chinese total. (2)All four corlla types are found within the province,24 species havetoothless corollas,24 have toothed corollas,87.species have short-tubed,beaked corollas,and 16 species have corollas of the long-tubed, beaked tupe The intermediate form,i.e. the species with short-tubed and beaked corollas,is particularly diversified.Almost all major floral evlutionary stages of the genus can de traced in various parts of Yunnan. (3)Althiugh the species of pedicularis are distributed in all eleven floris-tic areas.They are most abundant in the Sikang-Tibetan sudregion,which contains 71.5% of Yunnan's total number of species.lt seems clear that the Hengduan Mountains and the East Himalaya Yunnsn ate the cen-ters of modern distribution and are also the centers of diversification of thes genus. (4)There arre 8 series and 52 species endemic to Yunnan,which are mostly distributed in the Hengduan Mountains and the East Himal-aya. (5)There are some 30 species of pedicularis common to SE Tibet and Yunnan,and some 61 species common to SW Sichuan and Yunnan,imlying close floristic relationships between them.The fioristic links between the pedicularis speaies of Yunnan and those of Burma and Bhutan are also relatively weak.